Time to get these cars where they belong! 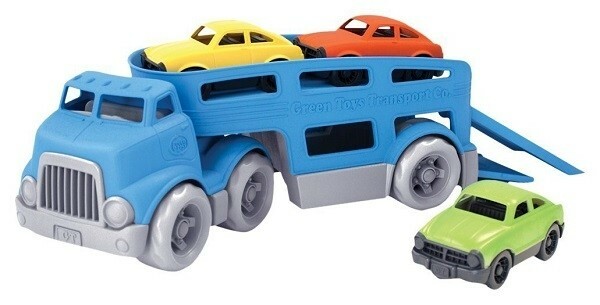 The double-decker car carrier from Green Toys features two working ramps and space for three mini cars. With no metal axles or small parts, it's great for both indoor and outdoor play, and encourages motor skill development and imaginative, creative play. 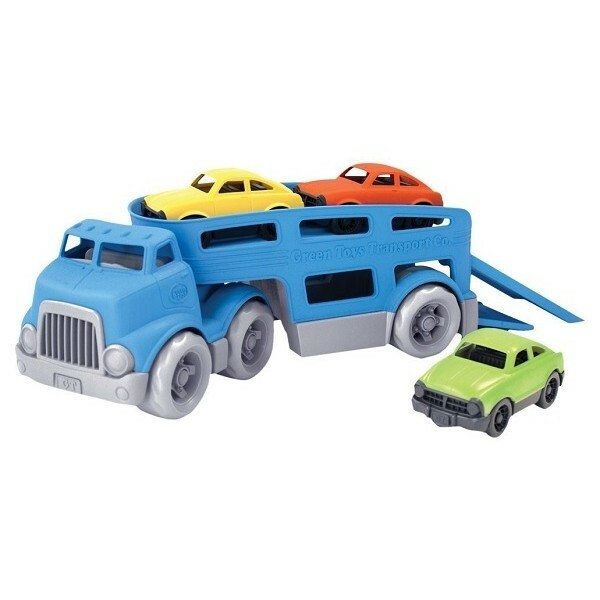 Like all Green Toys products, this set is made in the USA from 100% recycled plastic with no BPA, phthalates, or PVC. It's packaged with recycled and recyclable materials printed with soy inks, and it's even dishwasher safe!